Good morning! Fridays on Teachers Write are feedback days, so feel free to hop on over to Gae’s blog for her Friday Feedback feature. Be brave! 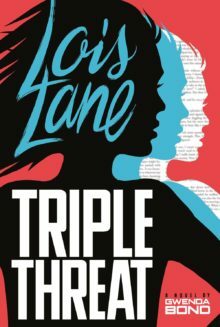 Today’s guest author is Gwenda Bond, whose work includes the Lois Lane series and the Cirque American series, about daredevil heroines who discover magic and mystery lurking under the big top. She also co-write the the Supernormal Sleuthing Service with her husband, author Christopher Rowe; book one, The Lost Legacy is out now. 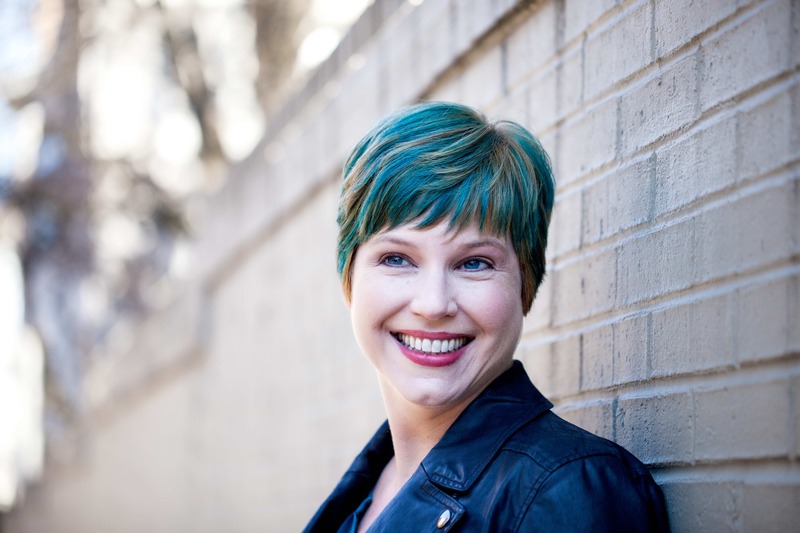 Gwenda has also written for Publishers Weekly, Locus, and the Los Angeles Times, among others. She’s joining us today to share some favorite revision strategies! So these days my watchword for revision is distance. A couple of years ago, I realized that my best revisions have all been done at a very specific emotional and psychic distance (bear with me, sometimes it’s impossible not to talk about writing with terms that sound vaguely magical…because so much of the time when it’s going well it feels that way…even if that is a deceptive side effect of hard work). The best way I can describe it is that arm’s length feeling, where I don’t feel like I’m clutching the story to my heart anymore, it’s far enough away that I can see it more clearly–but not so far away that my heart and head don’t feel a strong pull to it. It’s when the story starts to feel flexible. Like I won’t just be breaking it or bashing against it, but see how to mold it–finally!–where I want it to go to make it better. (I also try to get into this frame of mind for outlining, sometimes easier than others.) In a perfect world, time would always or usually do this on its own. But, alas, in the world of deadlines and reality, sometimes you have to speed your brain along as best you can. Since I had this realization, I’ve worked on perfecting getting into that mindset and have developed a few different strategies to do so. These work in combination or on their own, so try mixing and matching if you’re struggling to wrap your head around a revision. These are all things I do when I’m stuck on a draft too. 1) Work on something else. Especially if I’m expecting notes back quickly or will have to don the revision gloves and slice back into a project right away, one of the most effective things for me is to write something, anything else, as long as it’s fiction. A short story, a fragment, jumping to another novel, whichever. Immersing myself in another project–as long as it’s fiction–decouples my brain from the one I just finished drafting. At least a little. 2) Give myself a reading vacation. Sometimes I’ll give myself a week or two off from writing and just inhale as many good books as I can find. Sometimes they’re in my genre, sometimes they’re as far from it as possible, sometimes a mix, but reading fiction is a great way to let your story brain both work out and relax at the same time. I almost always come out of these stretches ready to work again. 3) Get feedback. Often seeing a story through someone else’s eyes is the best way to get perspective on it and distance from it. Notice your reactions, what resonates and doesn’t, what makes you excited to get back to work and what makes you feel hopeless. Take the helpful stuff and get back to work. Leave the rest on the table. Now this was a drafting problem, but it’s the same kind of question that happens in revision and can make it hard to approach. Particularly if you’re too close to the story still. It’s the “but I don’t know how to fix it” problem. The “I don’t know what happens” problem. Your subconscious will work on it while you’re doing other things, and sometimes you just have to let that happen. Sometimes you have to walk away from your desk that day and say, “I may just have to abandon this. I have no idea how to fix it.” And voila, the answer usually presents itself as soon as you give yourself permission to walk away or give up. (Tricking our brains into cooperating is so much of the writer’s job.) Long walks are one of my favorite things to abandon desk and do to tackle story problems. 5) Talk it out. I’m a big believer in describing stories and story problems out loud, especially if I’m trying to figure out a revision. First off, you have the distance of being away from the page. Second, there’s something about articulating a problem out loud that often leads you to the solution. I use my husband for this most often, but a dog or cat will work. Because you don’t even need another person to be listening (although it’s a bonus; hit up your writer friends). Just forcing yourself to say the issue out loud can reveal solutions and give you new perspective; it helps create that ideal distance to be at for fixing a story. I hope some of these are helpful for you — happy revising! Thank you Gwenda! Love your writing and these are some great tips for revising and for writer’s block in general! Do you ever revise with another author or do you revise as a solo exercise? Thanks again! Gwenda,Thank you for taking the time to give us advice about revision at a distance.Your words come at the perfect time. I love revision too and am trying to give my brain a break from my book. It’s very hard to put my world aside – little revision post-it notes slip into my brain and keep sticking until I acknowledge them.Your suggestion to start something new may be just the push I need. This is fascinating, about how the subconscious works behind the scenes. I remember reading something about Robert Louis Stevenson referring to the little brownies, or imaginary helpful beings, that word work for him when he was sleeping. He would wake up and know his next moves with the text. Yes! I am a *big* believer in walks and naps as helpful in solving story problems. Oh, also cleaning! What is it about the sudden need to clean the entire house when stuck on a scene? Ha! I really laughed out loud. I was DYING to hang new art yesterday instead of write. The struggle is real! So many great strategies for writing with enough detail to make them meaningful. Thanks for the thoughtful sharing. I’m looking forward to sharing your books I just purchased with students in my middle school library this fall! Thank you again for taking the time to share these wonderful tips. I find that teaching revising and editing is even more difficult than doing it with my own writing. I don’t know if you run with your phone, but I text myself ideas or lines that I don’t want to forget. Am shaking my head in agreement. Great tips and getting that emotional distance is key. Am sharing this w/my Cps. Thanks for the practical tips! I’ve read numerous quotes/articles that discourage discussing a work that you’re not finished with, so it was good to see you recommending just that and finding it useful. I think the key for me is not to talk about it too much before I’ve actually started it. But once I’m writing something, all bets are off in terms of staying quiet! I am at an artist retreat in Florida for three weeks. There are only two writers here. One of the things I wanted to accomplish was the revision of my manuscript. I found myself stuck. The other writer and I sat and discussed our goals and our work. We had been here for two days, and we were having a horrible time finding our rhythm. We found ourselves listening and giving advice to each other that jump started the writing for both of us. I always talk about my work to different people. If I am stuck, sometimes something they say will trigger a thought that will push me along again. Thanks for sharing your process. That’s great to hear and happy revising on your retreat! Love these suggestions. I don’t usually talk about my work but the other day I was Skyping with a writer friend about her book and, even though we didn’t talk much about mine, I realized later that our conversation got me totally “unstuck” from working on my revision. So now I have this image of my dog listening to my babbling about why I’m stuck on revising, while she thinks about something totally different, like rabbits in the backyard. Wish I could draw cartoons! Thanks again for your tips! I wrote for many, many years with a day job and so that contact with other writers in stolen snippets of time or online was very, very important to me in staying in touch with my writing goals. Sometimes just a check in that reminds you “oh, yes, this work I’m doing is important” helps a lot. Still! Thank you for this, I’m finding your insights so helpful this morning. It’s been years, literally, that I have shared any of my writing. This community of teachers and writers has been extremely rewarding, and we’re only in week 1. I keep a small notebook with me at all times, just in case an “Aha” moment arrives at an odd time. I am looking forward to taking your insights and applying them to myself and my students. Thank you, again! It’s been years since I’ve shared any of my writing. Thank you for joining us and sharing your process (& magic) for revision. I teach 9th grade English and so often my students think that once it is on the page, they are done. I’d like to share your tips with my students as I continue to cultivate a writing community in the classroom. When I’m writing, sometimes it is like a marathon–an endurance race just to plod along and get the words out– and other times it is like I can’t focus, jumping from one project to the next. I’m tried to be more methodical with my process and think of my various projects (personal writing, social media posts, emails, blogs, and reading) as spokes on a wheel. As I get stuck on one, I rotate to the next project and return to the stuck one after a bit of time/distance. Thank you again for your tips! I love that way of thinking about it. And I can’t wait to check out the link — thank you! I also teach English 9, and I also have students who believe once their work is on paper, they are done. Thanks for the link. One of my goals this summer to collect as many authors sharing their writing process as possible. Hello there! I really appreciate your tips today! I especially loved “trust your gut!” I LOVED the NXNW story! That’s awesome! MS advice is like something you get from my Mother-in-Law: you can either keep it or take it to Goodwill. She was right! Since then, I’ve listened and considered. In the end, though, I’m learning to trust my gut. Thanks for the reminder today! Absolutely! Learning what to take and what to leave is so important. And also learning to identify places to look at again in a piece based on feedback that might not necessarily map on to any specific comment. Thanks Gwenda!! It’s always so interesting to “get into the mind” (as it were) of another writer. These are great hints, and I think — as you’ve alluded to — that a lot of them help not only with revision but also with drafting. It’s reassuring to know there’s a good reason I often get my best ideas — whether they’re writing ideas or lesson plan ideas or life ideas — while doing something else. Taking a walk (as you mentioned), driving, showering, cleaning. I think of an article I read recently that talks about the importance of “doing nothing” in order to let our creative minds work. A great reminder for me, for sure! Appreciate your taking the time to share your ideas with us today. Yes! Sometimes the best work happens because you get away from your desk. So true. I am revising the draft of my mystery novel, and what you say about getting some distance and objectivity makes total sense. In this last round of revisions, I’ve been able to get that balance of distance + a good knowledge of my characters and story. Your suggestions are helpful! Fabulous tips. Revision is my favorite part of the writing process. I’m currently working on a first draft of a contemporary romance and I swear it’s like pulling teeth right now. All I want to do is hurry up so I can revise the darn thing! Thanks for sharing this insight with us, Gwenda! I am looking forward to getting far enough in the writing process to do revisions — haven’t even reached the first draft stage yet! But I appreciate your advice and am excited to have something to revise soon! As my cat is draped across my keyboard, I laughed out loud when you suggested that a cat or dog can be a valuable sounding board. I have to be extra vigilant for typos, since he accidentally adds plenty of revisions to whatever I am typing. Gwenda, thank you for sharing your process with us today! Sometimes my mind feels like it’s stuck on repeat and I can’t get past a point until I work on something else or step away. It really helps me to take a walk with my dog without my phone, music, podcasts, etc and just let my mind untangle the piece I’m struggling with. Teachers Write has been so amazing this week. Thank you to all of the authors and participants who have posted – it has really made a difference for me! Gwenda, thank you for the terrific advice. I find reading my work out loud is a great way to catch mistakes too. I also try and keep in mind the overuse issues I run into with the words, that and just. Best wishes with your writing. YES! This is a great strategy. I usually read my books out loud at least once during the process. Stuffed gorilla says THUMBS UP! Thank you, Gwenda, for the insight. I struggle with all of the process so this is very helpful.